Hi, my name is Jose Esmerio, and most of you probably know me already, in fact I have probably been cleaning your carpeting for the last two decades. I’ve been certified by the IICRC (Institute of Inspection Cleaning and Restoration) in carpet cleaning, upholstery cleaning, water damage restoration, and I'm also a commercial maintenance certified technician. 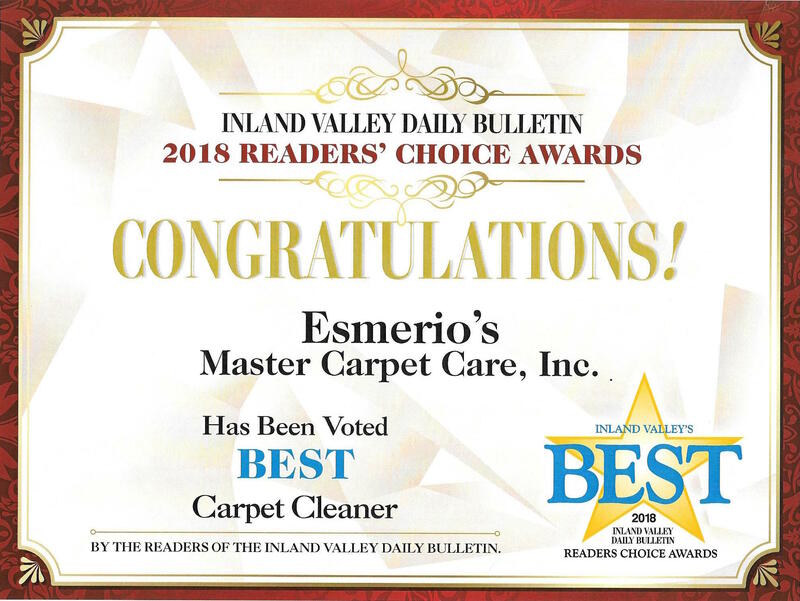 I’ve been providing a worry free cleaning service that has made Esmerio's Master Carpet Care the standard of excellence for the cleaning industry in the Inland Empire since 1994. Get 100 Percent Longer Life! I’m talking about the life of your carpet! It’s a cold hard fact. Anytime we clean someone’s carpet we can only bring it back to a percentage of brand new appearance. Cleaning won’t correct damage done to the carpet dye from sun fading or chemical fading (such as spilling bleach on the carpet). Cleaning won’t correct damage done to the yarn structure (such as unraveling or other types of pile distortion). But regular cleaning can have a major impact on another carpet condition I call “shading”. Picture a brand new clear plastic glass. You can look through the glass and see just fine. But now, take some sandpaper and rub back and forth on the plastic glass. I don’t care how many times you wash the glass, will it ever appear crystal clear again? Of course not! The scratches made by the sandpaper are permanent and it affects the way the glass looks. WELL...Carpet is made out of plastic too. If you allow abrasive sand to build up in your carpet (deep down where you can’t see it) as you walk on the surface you are rubbing all the sharp cutting edges of sand crystals against the plastic carpet fibers. 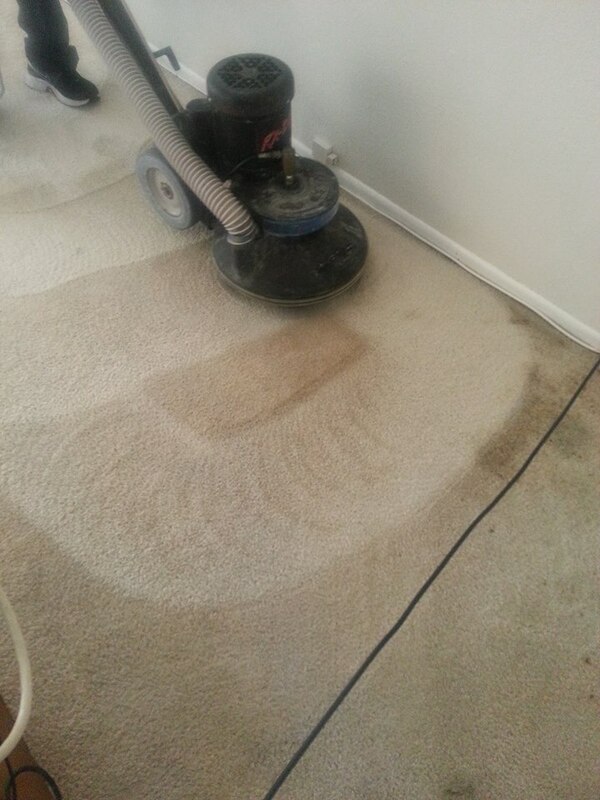 As you scratch the carpet fibers the appearance of the carpet will change too...permanently!  Are you disappointed with your last cleaning?  Does the carpet look like it hasn’t even been cleaned?  Does the carpet look good immediately after it’s cleaned but then look bad again after it dries?  Do you have a hard time finding a company that will adapt to your schedule?  Are you ‘concerned’ about the cleaning technicians that are coming into your business to clean?  Do you want your work environment to be safe, clean and healthy?  Solved—The problem of unnecessary wear and wasted money. 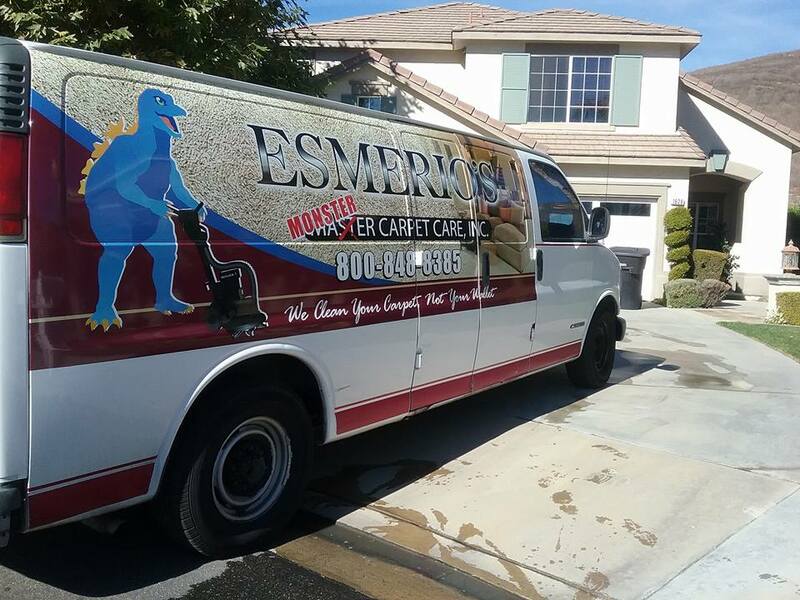 We at Esmerio's Master Carpet Care, Inc. have the experience and the equipment to make the carpeting look its best. If you have not met me or had me clean for you, I invite you to call me and have me do a free demonstration cleaning in your own home. I guarantee that you will be thrilled with our service, even if you are not familiar with it. 1. First, if required, I vacuum your carpets using a commercial grade, upright vacuum. This will remove up to 60% of the dry soil, sand, grit, and other particles BEFORE I start my cleaning process. 5. Then, if necessary, I groom the carpets to allow them to dry softer and faster.